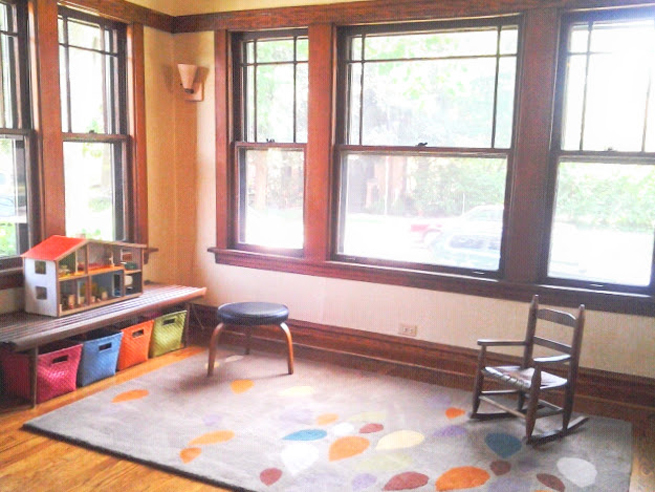 The room in the front of the house was a perfect play-space for busy kids. As babies they loved being able to pull up on the window sills to see what was happening outside and watch for daddy coming home from the train. My collection of bird illustrations welcomed people in the foyer. 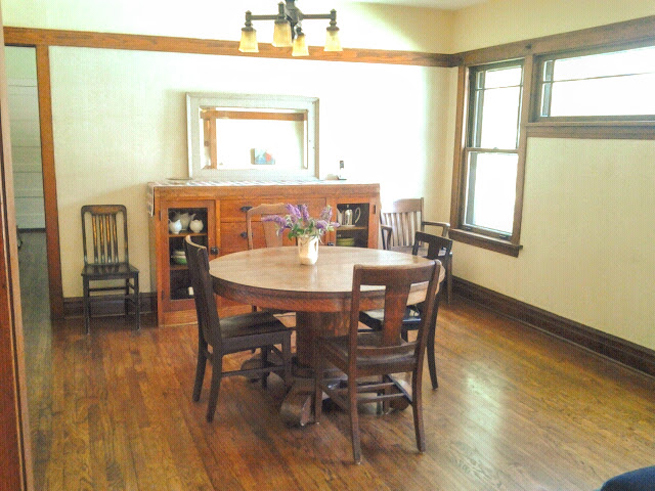 The dining room was large with lots of light and plenty of room to extend our antique pedestal table when we needed to. It is an heirloom that belonged to my great-grandparents. We replaced all of the lighting in the house. 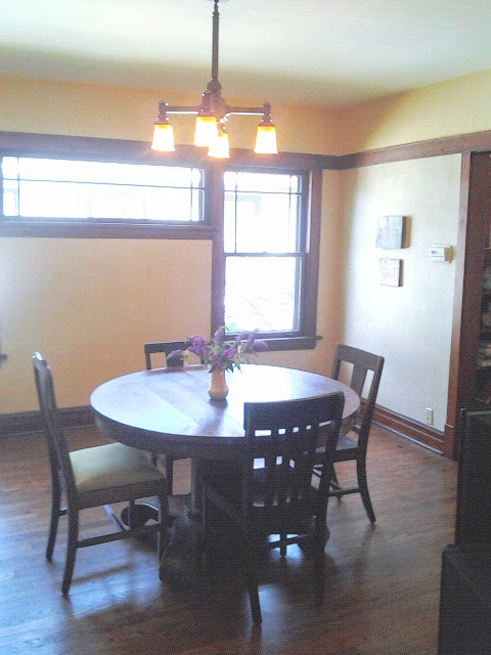 I love this simple Mission style chandelier, we found it at Menards! 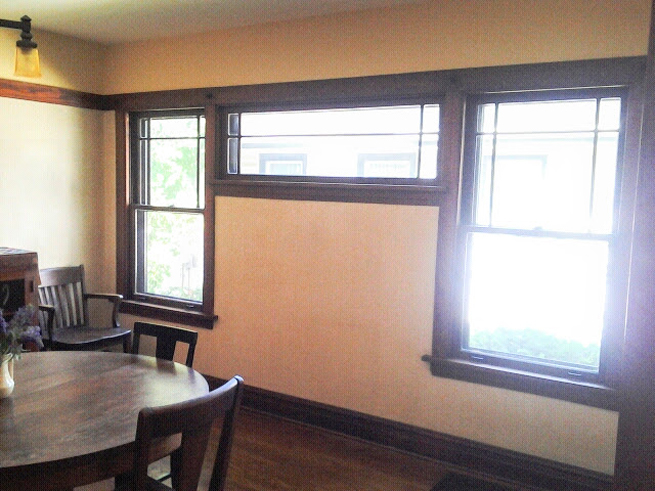 Lovely natural light in the dining room, gorgeous original woodwork trim and grass-paper wallpaper. 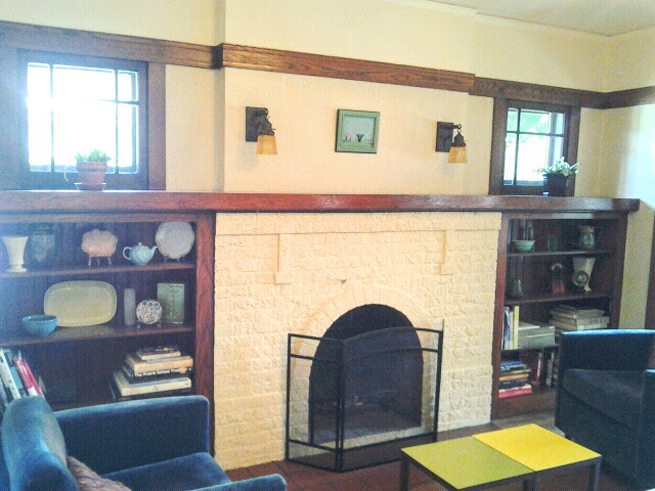 The kitchen went through a major DIY facelift. 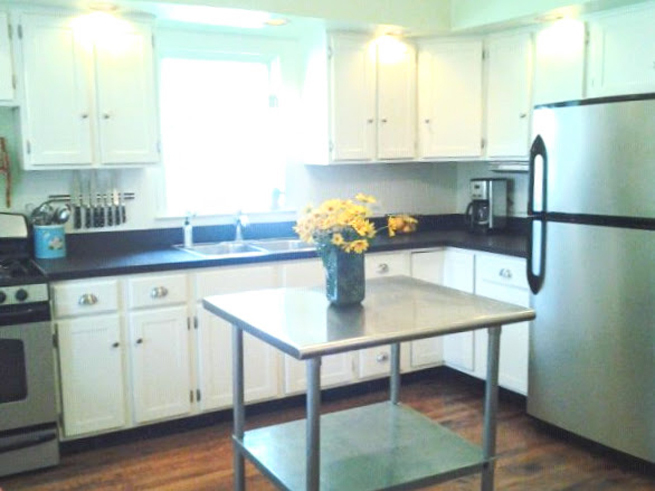 Rehabbing the floors, painting the cabinets, counters and backsplash and replacing the appliances. 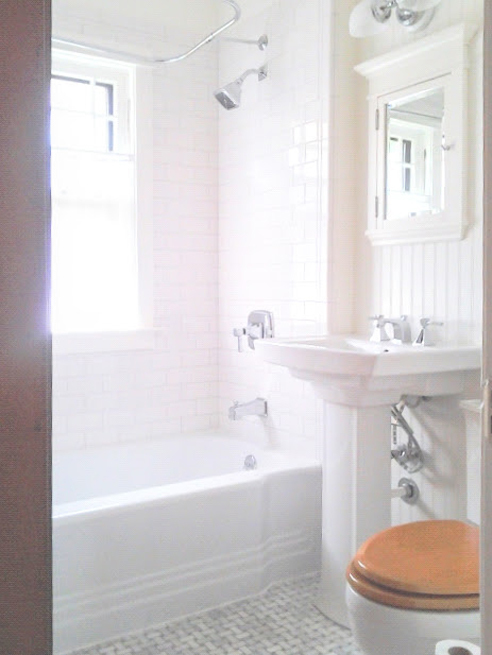 My lovely marble floored bathroom – I miss it so! We gutted everything except the porcelain tub. You will have to see the before & after!! 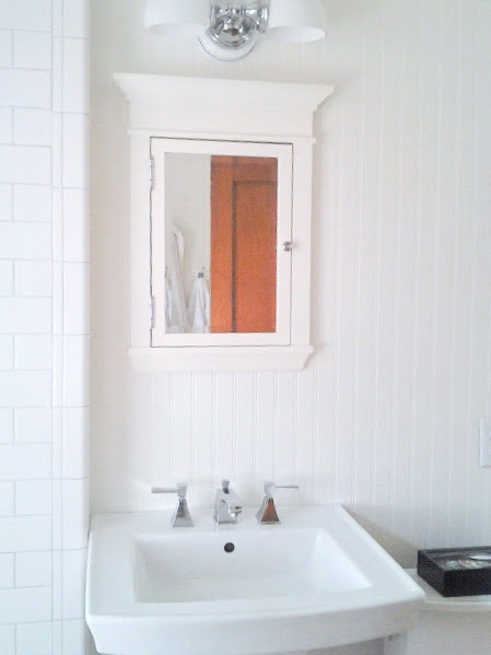 The mirror and light-fixture were great vintage reproductions that worked perfectly to keep the look of an early 1900s bungalow. 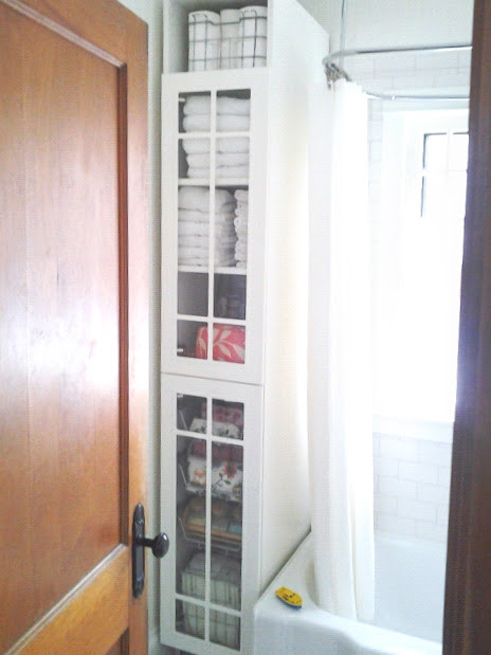 I found this tall kitchen cabinet at IKEA to fit perfectly in the awkward space at the end of the bathtub. 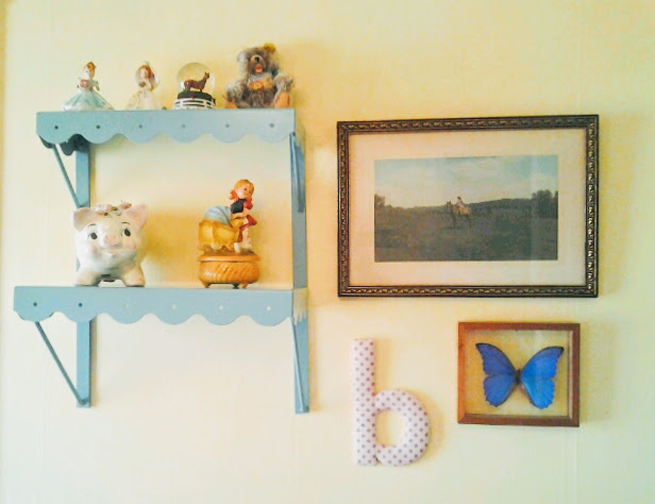 Now it serves as clothing and shoe storage in Harper’s room. 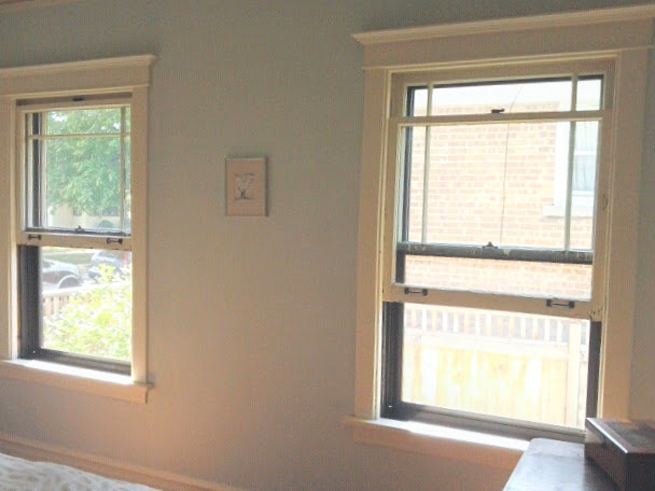 Our wallcolor is Sherwin Williams Window Pane. 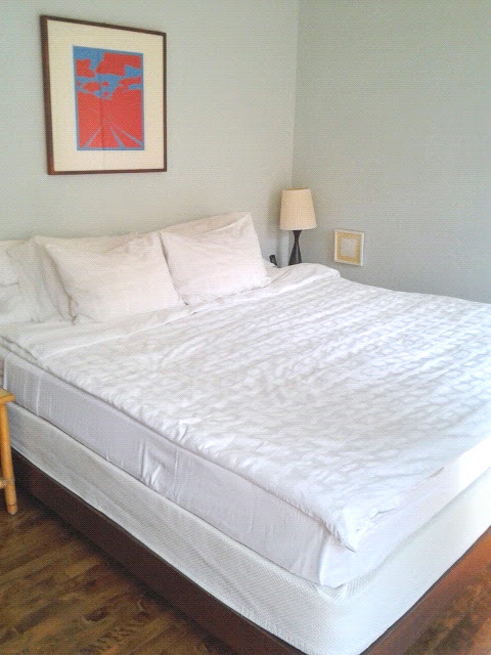 I loved it so much we have it in our bedroom in our new house too. 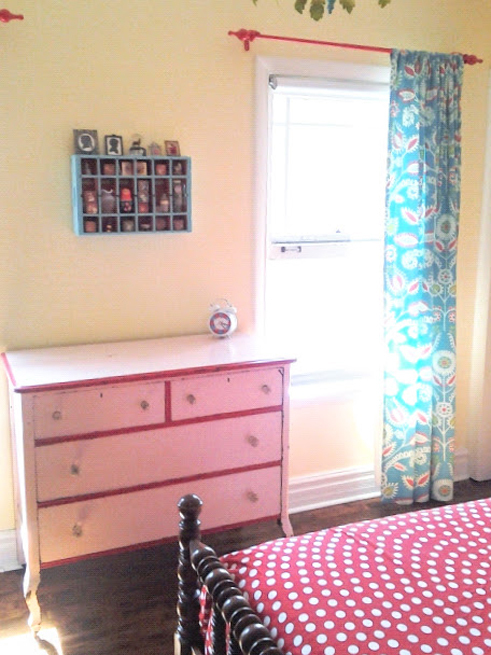 Trixie decided she wanted her room painted yellow, her favorite color. 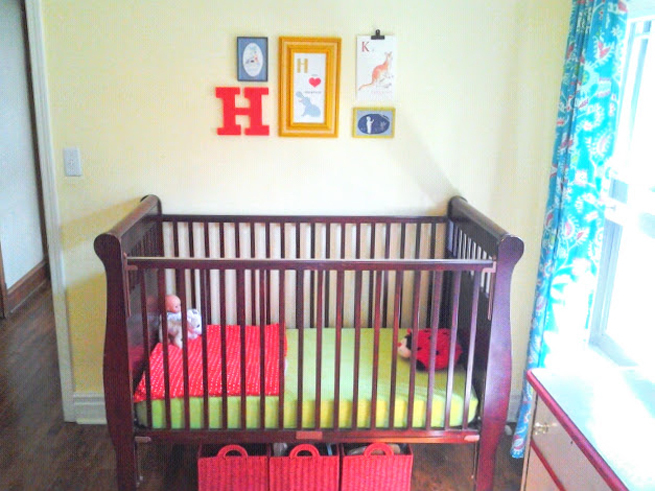 The beautiful bed was my mother-in-law’s when she was a child, and now it’s Harper’s bed in our new house. 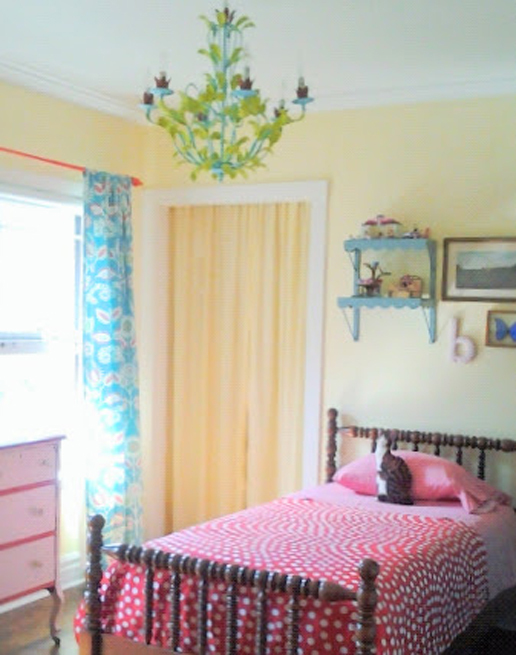 Trixie’s chandelier has gone through many color changes and is in her current room. This hand-colored photo is a favorite antique of mine. The butterfly was a special gift from Trixie’s aunt and uncle after a trip to Central America. 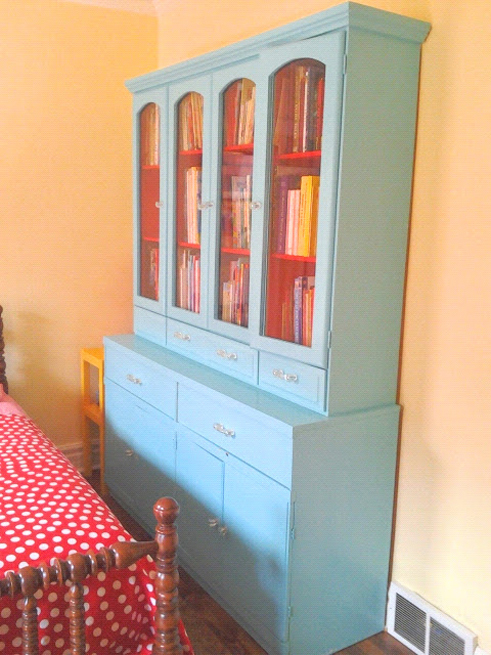 Trixie’s dresser used to be mine from our days living in a Chicago “three flat.” It was a wonderful junk-shop find in Chicago and she still uses it today. 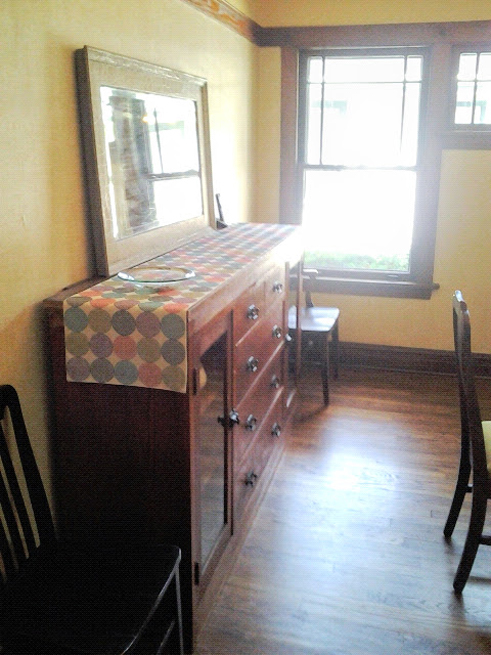 This cabinet of my grandparents’ is now in the kids’ playroom in our new house. 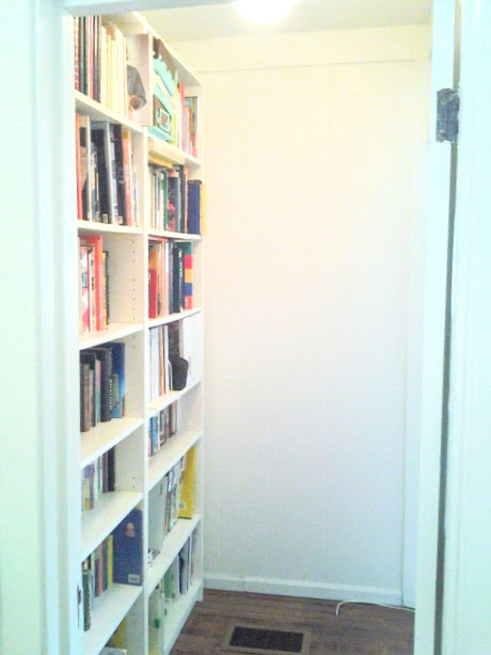 It is wonderful storage for all of the kids’ books. 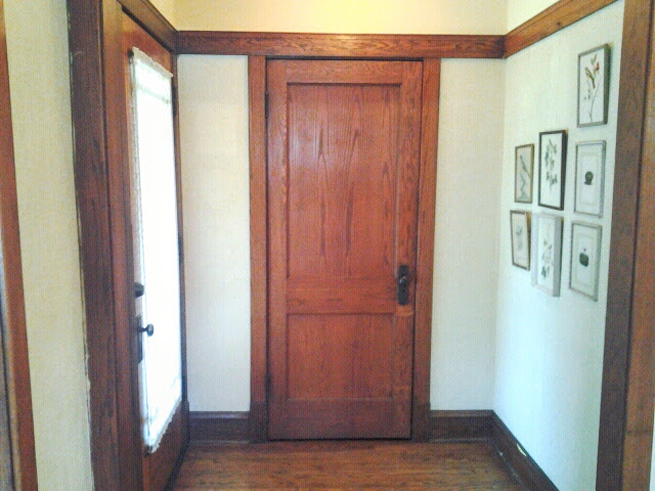 The house’s former pantry was turned into our library that lead to the old back porch, turned office. 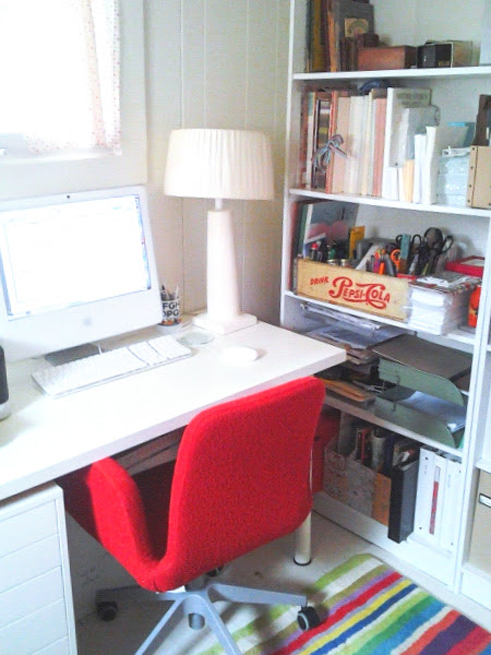 My desk, rug, chair, bookshelves and cabinet of drawers are all from IKEA. What would we do without IKEA?! 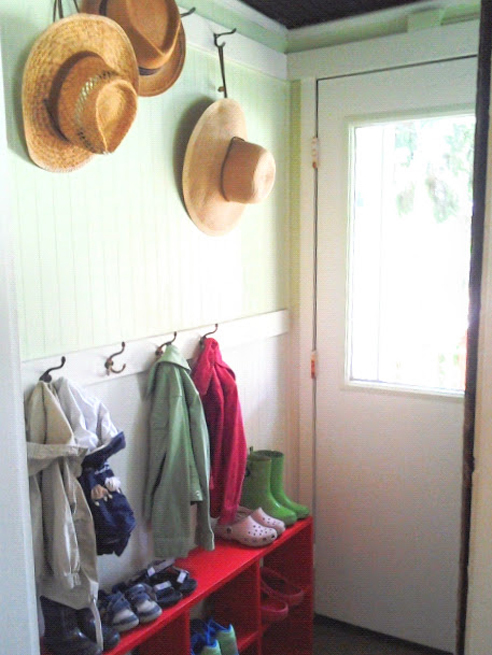 A mudroom is a great thing to have with little kids. They have so many shoes and jackets! 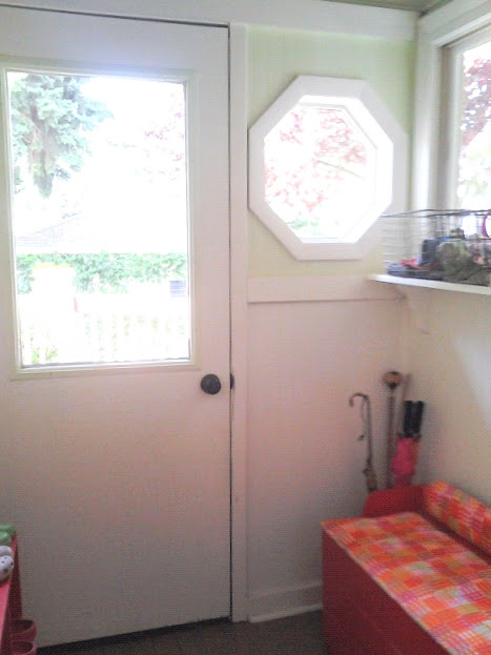 And a storage bench is always a great addition. 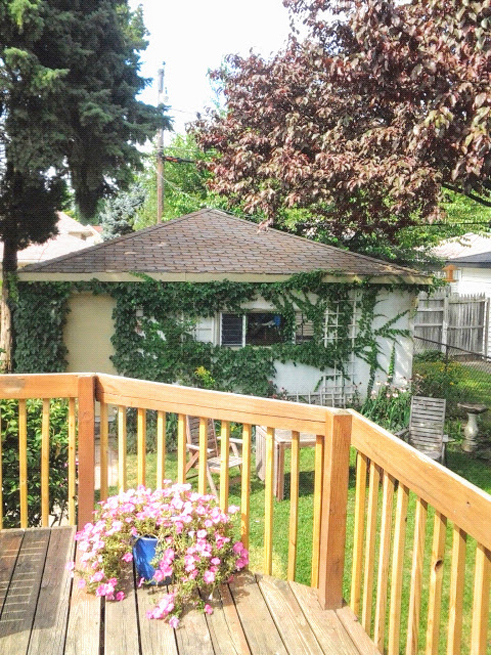 Our backyard was small, but we filled it with perennial beds to bloom from Spring until Fall. 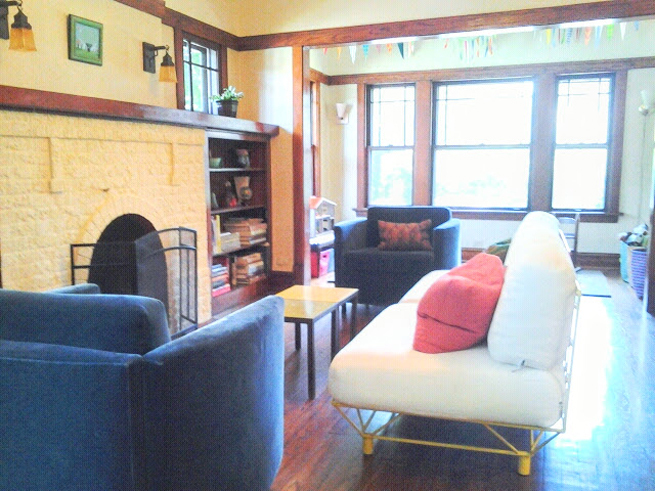 Check out all of the other house-tour posts to see much more.